Welcome to the crazy, fast-paced, fun-for-the-whole-family world of Diception! A board game that takes less than two minutes to learn and a lifetime to master! It requires no special skills or abilities, but be cautioned, you never quite know who is bluffing and who is playing it straight! 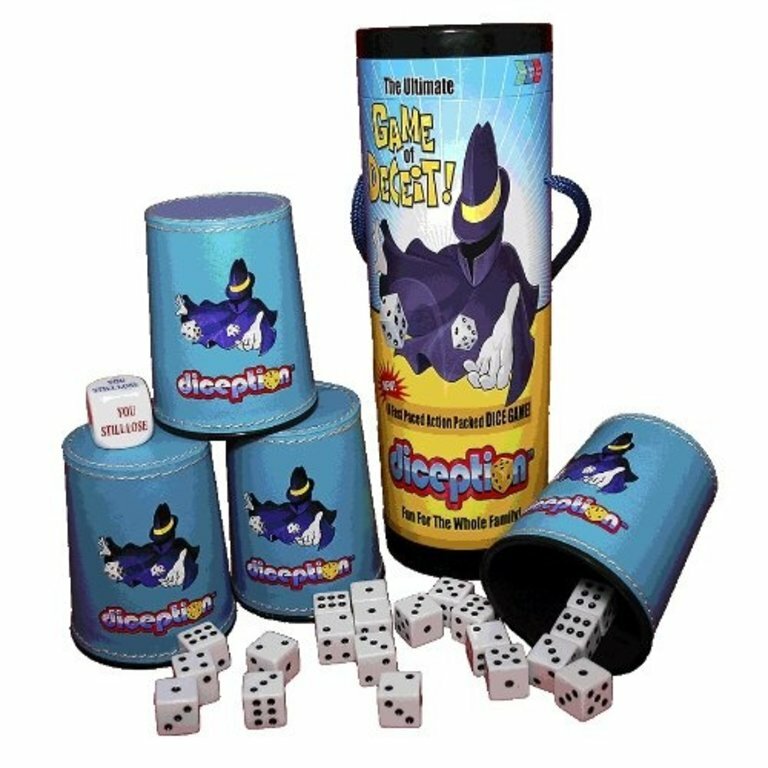 Diception is similar to liar’s dice but adds a few twists of its own making it the perfect fun-for-the-whole-family board game! The included instruction booklet contains multiple different ways to play ensuring you will never get bored! The strategy from person to person and hand to hand changes each time a new bid is made! Guess wrong and you lose a die, guess right and your opponent must surrender one of their precious cubes! But wait, there is a a twist! Roll the Second Chance Cube, it could change your fortunes or maybe even the fortunes of the entire table! To win and be crowned the Diceptor, be the last person still holding dice! Diception is fast to play! An entire game can be played in as little as ten minutes making it the perfect play anytime anywhere board game! But it is so much fun to play you just might wind up playing for hours! 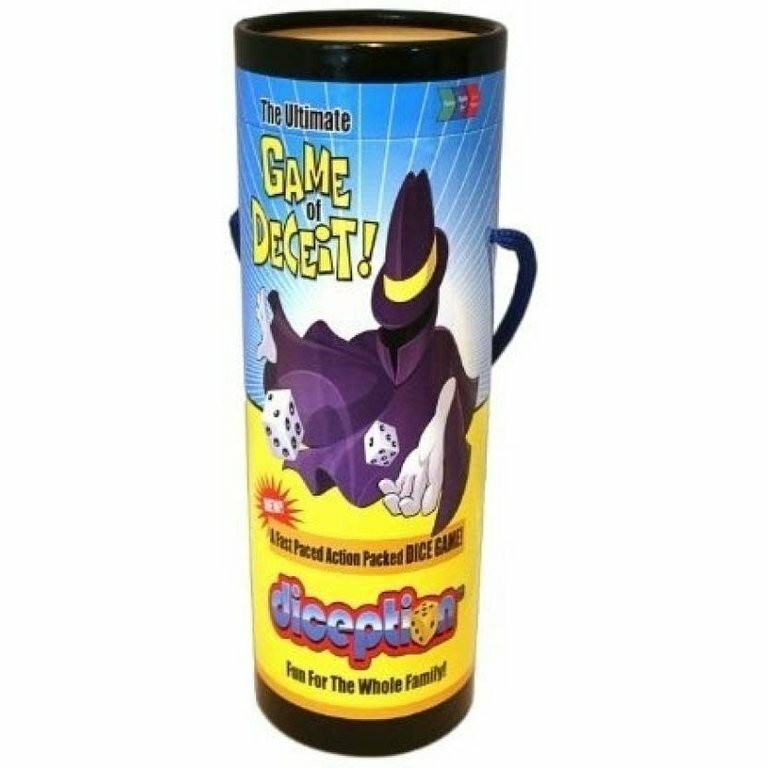 Each Diception board game comes with 20 dice, a Second Chance Cube, four high quality genuine leather tumblers, instruction booklet that reveals multiple different ways to play, and a convenient and durable carrying case, complete with carrying strap!"